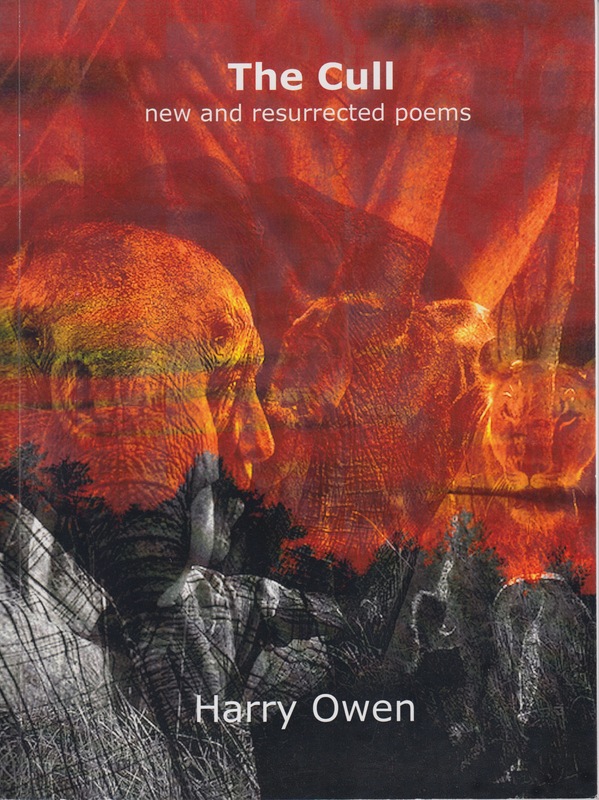 I received The Cull, a book of new and previously published poems, from Harry Owen some time ago and have put off reading it because work had taken my mind in other demanding, non-literary directions. In my experience, Harry’s poetry – and let’s dispense with artificial formality straight away by acknowledging that Harry is a friend – deserves the reader’s full attention. So rich. And when it fades at last, so ended. So long continuing, and yet, quite soon, gone. Harry can be described as a nature poet. He edited the international anthology of eco-poetry For Rhino in a Shrinking World and many of the poems have as their subject matter the natural, non-human world and humanity’s troubled relationship with it. The observation in the verse is detailed and precise, and where Shakespeare saw “a special providence in the fall of a sparrow” Harry sees meaning in the death of a gecko. Must things ever matter? Do they count? You’re gone now; the ants have carried you off. So yes, we matter, ever and never again. Living fully in the world and part of the world is surely an underlying theme of Harry’s poetry, and this encompasses acknowledging the many shapes of injustice, including the political. One of the moving poems in this collection is based on a temporary memorial at Rhodes University listing the names and ages of the children killed by Israeli bombing of Gaza. For those of nervous disposition. But it’s a long way from here, isn’t it. Harry writes in the Introduction, “The English language lends itself superbly to euphemisms – the hiding of unpleasant or unwelcome truths behind gentle words. While this can be useful in softening the impact of what might otherwise be insufferably painful to the listener, it can also be a thoroughly dishonest trick, a deception. I met Harry in Grahamstown, at the wonderfully engaging monthly Reddits open-floor poetry reading he has run for more than 10 years now. He hails from Liverpool, and arrived in Grahamstown in 2008. Generous of spirit, with a quick wit and gentle sense of humour, Harry is incredibly knowledgeable about poetry, knowledge which he displays when he writes, for the local Grahamstown newspaper Grocott’s Mail, a column on poetry that should be read nationally. This is his seventh collection of poems.